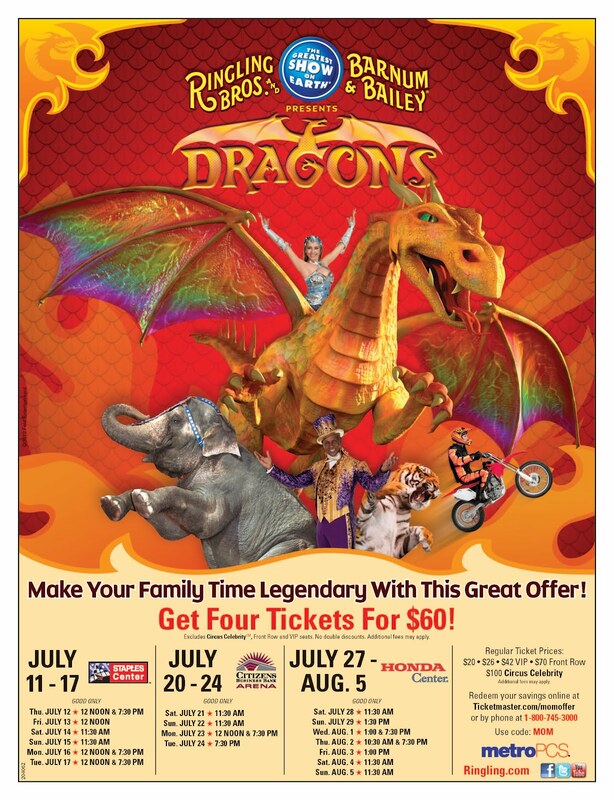 Ringling Bros. and Barnum and Bailey are celebrating the Spirit of the Dragon with the best circus performers in the Southland! Some of these amazing acts include Shaolin Warriors displaying their expertise in Kung Fu martial arts, the Flying Caceres with their double-decker trapeze act and daredevil motorcyclists in the Globe of Steel to name a few. There will also be equestrian acrobatics, the only mixed-cat (lion and tiger act) and an Asian elephant who can paint masterpieces! Come early for the ALL Access Pre-Show, FREE admission with your ticket! Families will be able to participate in many exciting activities such as learning how to juggle, get autographs from the talented performers and meet the clowns as they entertain the audience with their comical parody. The whole family is sure to enjoy this spectacular show! For more information visit www.Ringling.com. Knott's Berry Farm Tickets Giveaway!!! 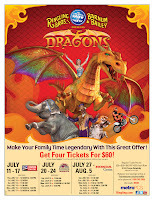 I am giving away TWO Knott's Berry Farm Regular admission tickets! With summer right around the corner I encourage everyone to get season passes to Knott's. For as low as $69.99 you can enjoy all of your favorite rides, receive discounts at Mrs. Knott's Chicken Dinner Restaurant, discounts on merchandise, bring friends on Discount Days and best of all there are NO black out dates!!! I love Knott's so much that I ACTUALLY used to work in Camp Snoopy while I was in high school! Leave a comment stating what your favorite job was growing up during high school or college. You MUST sign in with a Google account. (It takes 1 minute to create if you don't already have one). BONUS ENTRIES: Leave a comment for EACH entry (If you put it all in one comment I'll count is as one entry). 1. Follow my blog publicly via Google Friend Connect. If you are already a follower leave a comment and it will still count. 2. Follow me on Twitter at bernadette923. If you are already a follower it will still count. 5. Follow @Knotts on Twitter. This contest is open until Sunday, June 17th 2012 at midnight. I will leave a comment on THIS post Monday June 18th 2012 stating who the winner is. I must have a valid way to reach you, so leave me your email address in your comment OR be sure your profile has your email address visible. No duplicate comments will count. This giveaway is open to US residents age 18 and older. Winners will be selected via random.org and must respond within 48 hours of being notified by me or I will select a new winner.